Lighting is a very important part of any design. The lighting can easily devalue or elevate your design. If you are renovating or building, you should take notice of these tips. A lot of people tend to think that the lighting isn`t a big problem and they usually wait until the end. You will need to think about lighting eight weeks in advance so that you will have more freedom when you will start installing it. You will have more options to think about when the project has more than 2 months until ending, then when it is just 2 weeks away from ending. Control is the key here. You won`t be restricted by any conventional wiring layouts. If you wait too long for the lights, it may happen the costs to be higher because when the project is almost done, you will see that unexpected costs may appear. Lighting is known to have an influence on how you feel. Lighting also has a really high influence on the bills. When it comes to the overall design, light is very important. The right light levels will support the beauty of a design. All of those things are important and you should think ahead of time for the lighting budget. A lot of experts say that 0.5% of the total budget is all you need when it comes to lighting. But if you want to make something truly special try to spend around 3-5% on the lighting features. 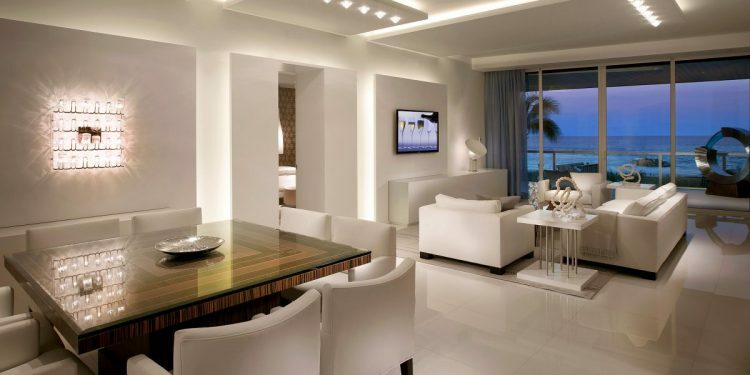 You should consult an interior designer because he can help you with the lights. The interior designer usually works with a lighting specialist. If you like to do this on your own, you should go looking for a light supplier who know all of the technical expertise regarding light and also has some knowledge about interior design. Each fixture should have a specific purpose. There is light for every need. For example when you are cooking, reading or eating you should consider adding light that shines on the task at hand. If you incorporate light in the design you will create some really great effects. It is a great idea to add lights to your bathroom mirror. Another great idea is to bring attention to a particular feature such as a painting. You can do this with the help of some lights. If you focus on basic needs, you have to cover them with the proper lighting.